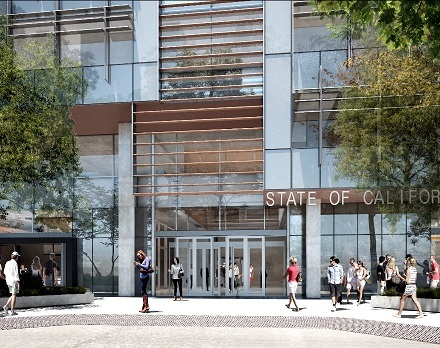 In late 2015 we began tracking a significant project here in Sacramento – a new 350,000 square feet office building for the Department of Developmental Services, the Department of State Hospitals, and the California Health and Human Services Agency. Located at the southern portion of the city block bound by 12th, 13th, O, and N Streets, this project will be the first major building constructed by DGS in over a decade using the Design-Build method. Lionakis teamed with ZGF (Architect of Record) and Rudolph & Sletten (General Contractor) to form a qualified team with experience in the design and construction of high-rise buildings and experience with DGS. DGS cited our team’s responsive design – in terms of sustainability, energy efficiency and a flexible/adaptable floor plate as well as our team’s enthusiasm and team-culture as major factors in winning the project. Employee wellness is at the forefront of the project’s design, as is sustainability. The building will be net zero energy as designed, targeting LEED platinum® certification. 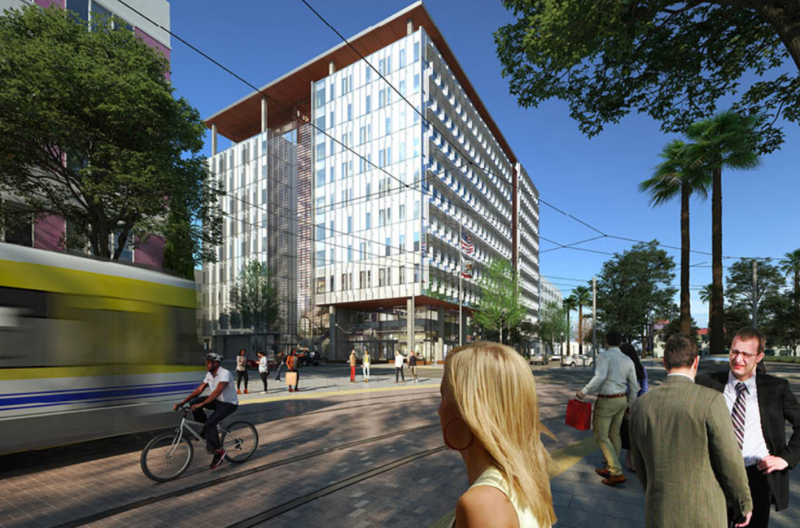 When complete, it will use 60 percent less water than similarly-sized office buildings. Photovoltaics on the roof will provide solar power to maximize on-site renewable energy, supplemented by off-site solar energy sources through the Sacramento Municipal Utility District (SMUD). This energy program is part of a first-of-its-kind agreement with SMUD in which DGS’ entire Sacramento portfolio will move to solar power. All members of the project team will coordinate together for the first four months of the project at the Lionakis Sacramento headquarters, which begins immediately. The building, in addition to office space and an employee gym, will have retail, a multi-vendor food court and a design emphasis that utilizes as much natural daylighting as possible. Lionakis’ role on this project will involve design, technical, and CA support throughout the project. Construction is scheduled to be completed in late 2020 or early 2021. More information on this project can be found at the Department of General Services.